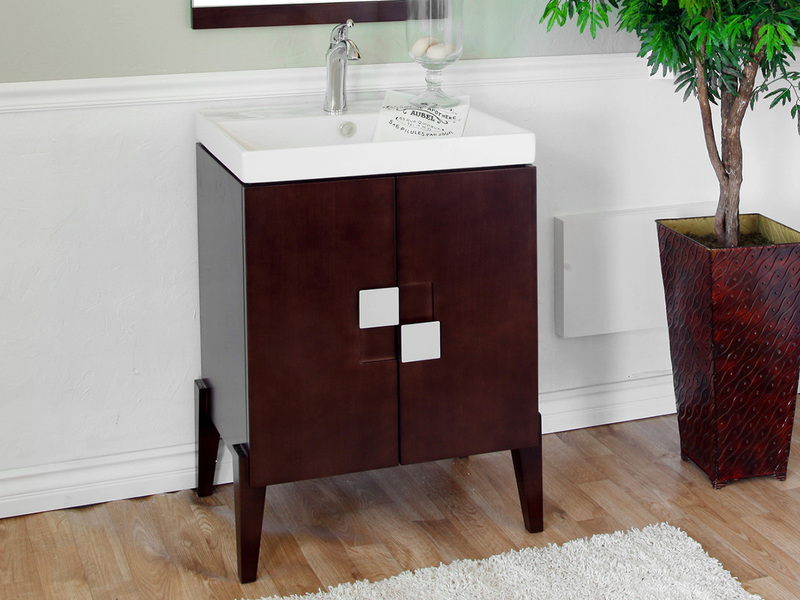 The Seville Modern Vanity is great for adding a unique modern flare to your bathroom with its clean lines and checkered, brush nickel hardware. 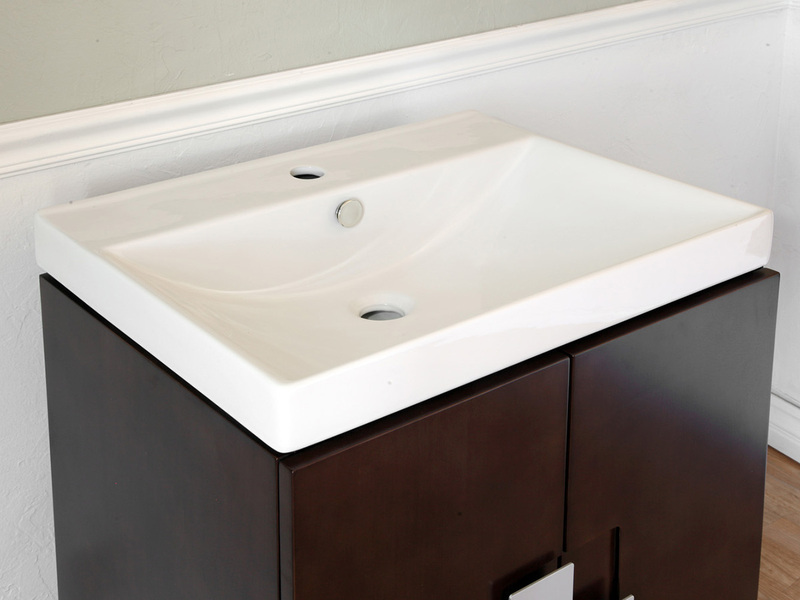 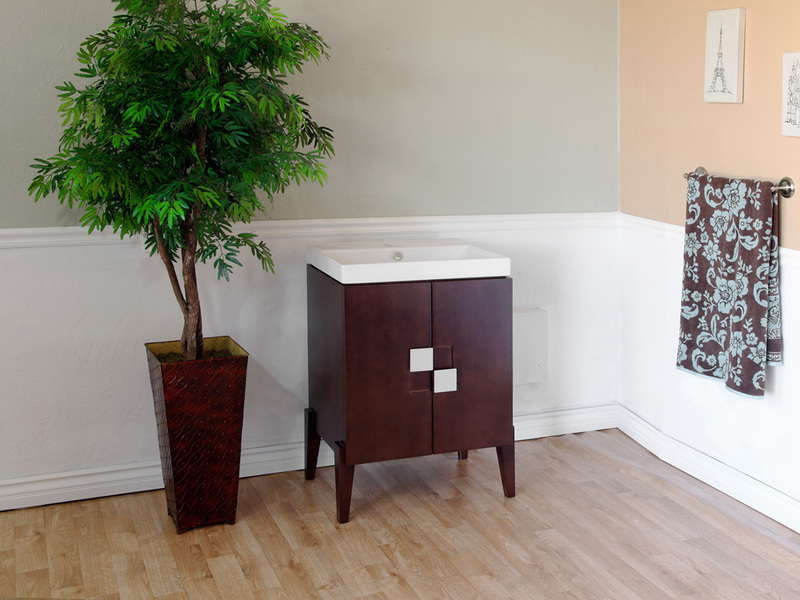 The vanity's compact size makes it great for those with limited space, but who do not want to sacrifice style or quality. 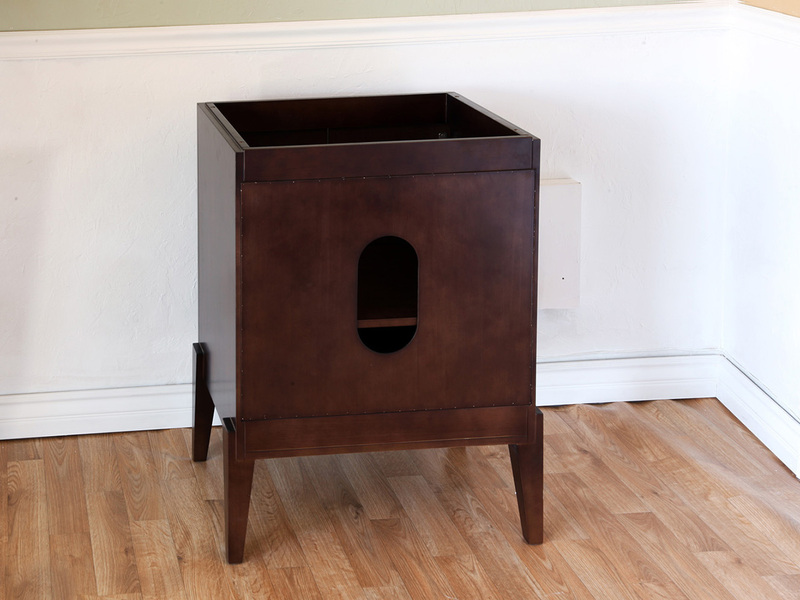 The cabinet features soft close door hinges and an interior shelf, making it a great storage space on top of being quite stylish. 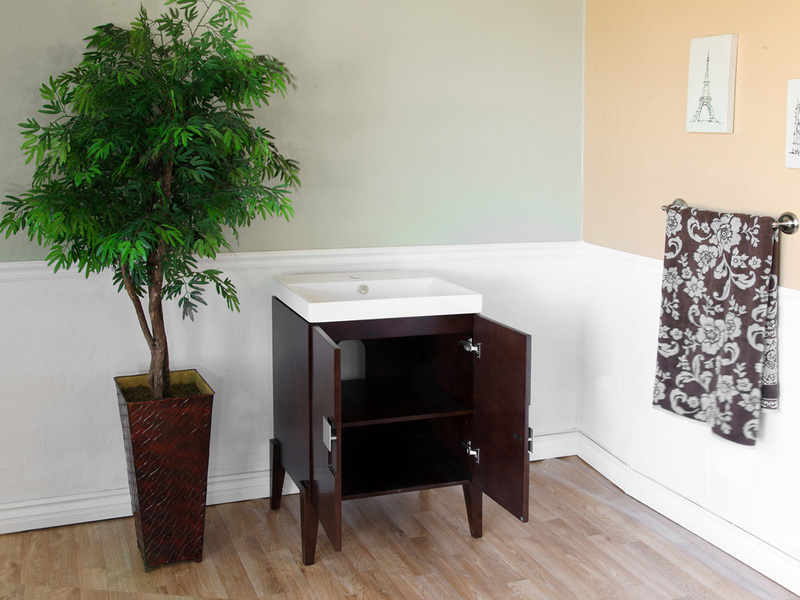 Its water proof finish protects the cabinet against humidity to make this vanity last. 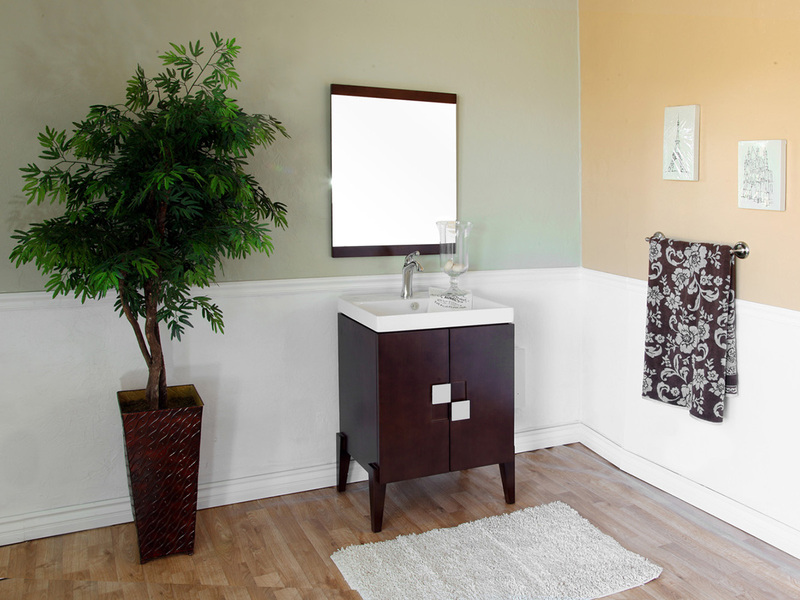 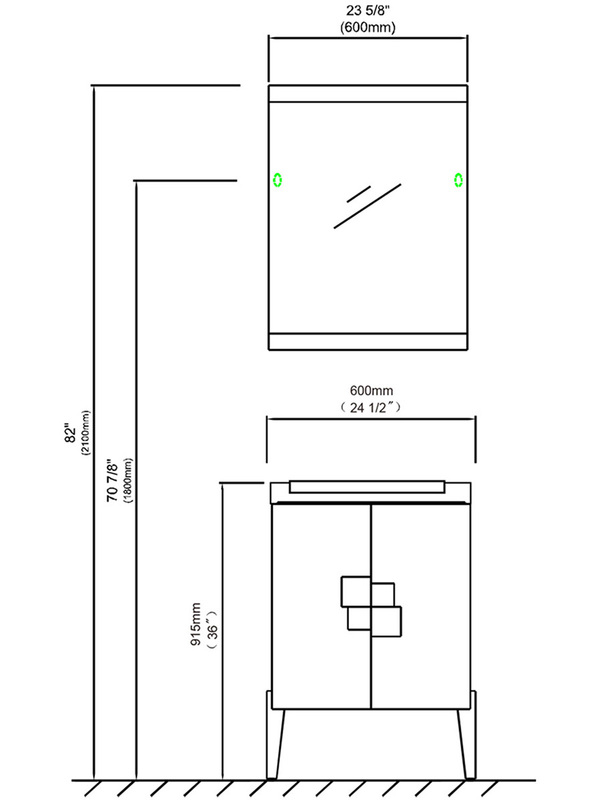 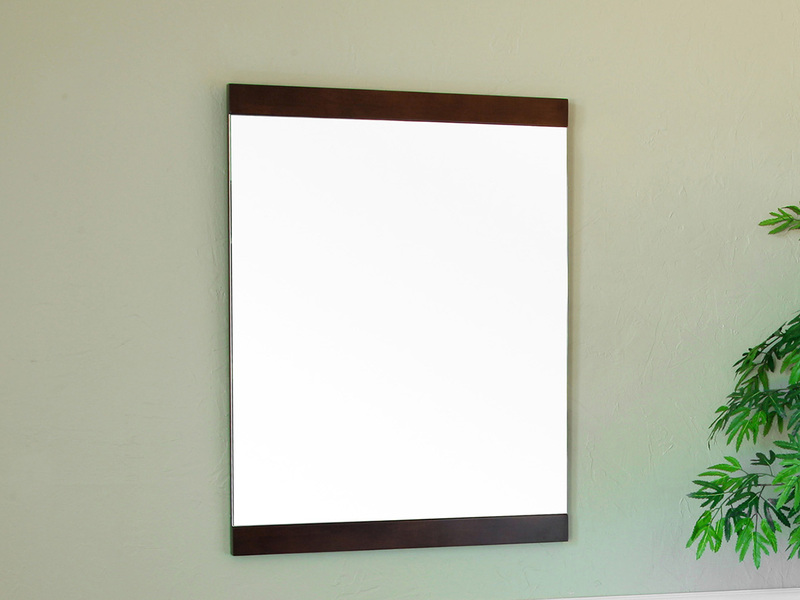 To complete your modern bathroom design, a matching mirror is optionally available through the drop down menu.